Nobody likes a dirty house, especially when it is their own. If you need house washing in Nantucket, call our roof cleaning and exterior pressure washing experts for an estimate. We provide a wide range of cleaning services which include softwash pressure washing the roof, windows, fences, driveways, sidewalks, patios, Tile, Cedar siding, and gutters. 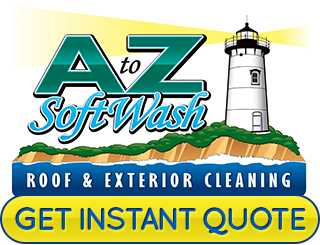 A to Z Softwash can get your Nantucket home clean from top to bottom so you're proud of it once again. You can get an instant quote by calling our number or using our online contact form. We can't wait to spruce up your home for you! If nothing else, roof cleaning should be done to help the roof last longer. Tree branches, leaves, algae, and grime work to wear away the shingles if they aren't removed. 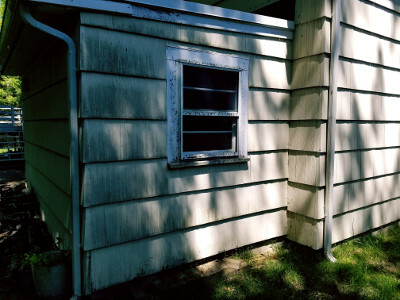 Before you know it, there is rotting going on because the shingles start deteriorating. Even a metal roof can get damaged by debris that sits on the seams. Call today and let us take care of your Nantucket roof cleaning. It's not uncommon for us to get called in for a window cleaning job. Most homeowners would rather have a professional take care of the exterior window cleaning because it's a time consuming and often a tough job to do. Screens get in the way and are often difficult to remove without damaging them and high windows are harder to clean. We would be glad to take care of this chore for you. You'll be able to see clearly out of your windows once again and your home will look much better! The gutter system of your home serves an important purpose to route rainwater away from the foundation and roof. If your gutters stay clogged and dirty, they will not be able to protect the roof and foundation from water pooling. 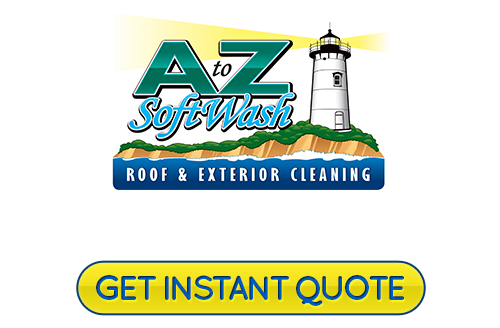 At A to Z Softwash, our team can help you keep the gutters clean and flowing free. We use safe methods that don't damage the material while removing the buildup and grime from the gutters. If you are looking for a Nantucket, MA roof cleaning and exterior soft washing expert, then please call 508-209-7795 or complete our online request form.